What’s better than watching a beautiful sunset? My best friend Chris introduced me to him in high school and I'm so appreciative. Nothing like hearing the swells of the music as you see the first rays streaming out. I go to bed, at 5 am, a very happy and content person. If you like Rachmaninov try <a href=’http://www.amazon.com/exec/obidos/tg/detail/-/B00004YC2K/qid=1088603734/sr=8-15/ref=sr_8_xs_ap_i15_xgl15/103-8100394-6137420?v=glance&s=classical&n=507846‘>this</this> one. Argh! sorry for that entry! ‘listining’ – and you accuse Fuzu of not being able to spell -(http://blogs.msdn.com/cyrusn/archive/2004/06/30/169654.aspx) … I also note that it took you two attempts to get ‘appreciate’ right – haha. also look into Dennis Brain’s rendition of Mozart’s Horn Concertos.. and my all-time favorite: Ludwig’s Triple Concerto Op 64.. (DG has a great rendition of it with Perlman on the Violin).. a masterpiece! 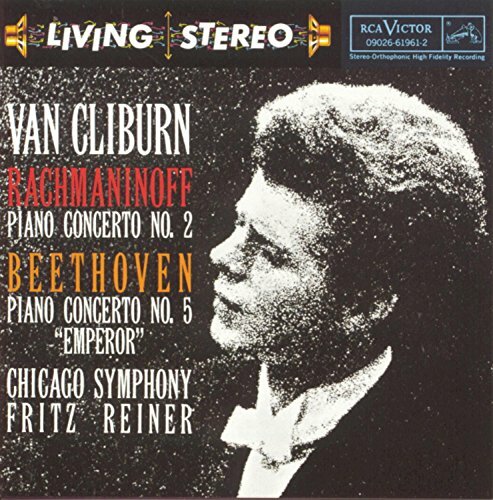 That’s not Van Cliburn, that’s a MAN, bay-bay! Oh wait, I mean JFK! What’s JFK doing playing classical music? Fuzzy: Devs don’t need no stinkin speling! That’s what compilers our for. They check tahat our grammar does don’t not make no sense to anyone. JGeer: Ha! I’ve got that too. I think Cliburn moves me more just due to the fact that I prefer Concerto #2 more.